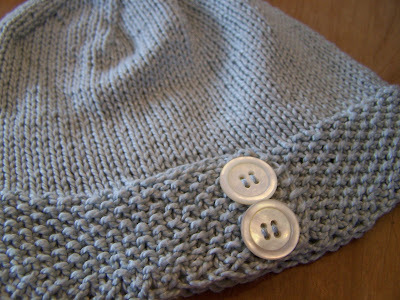 I found this knitted hat on this blog awhile ago and was quite taken with it. I made two of them on holiday and had to wait until I got home to my button jar to finish them off. 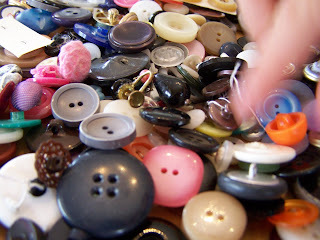 What is it about a pile of buttons that little fingers can't resist? E swooped in to grab one just as I was taking a photo and W couldn't resist them either. 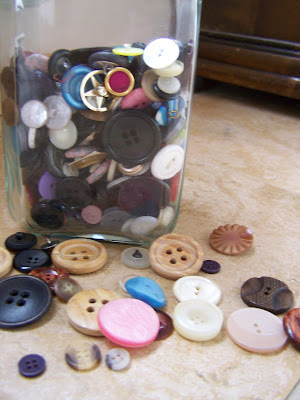 I used to always play with my mom's buttons in her jar too. 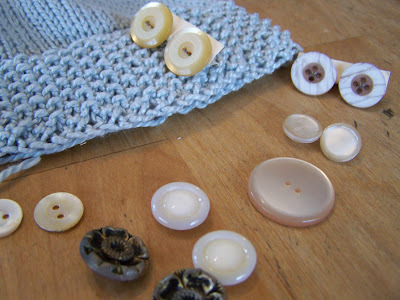 I didn't find quite what I had in mind for buttons but I found some that look good. 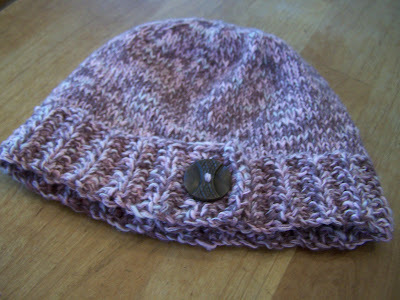 Here is the first hat, made with the leftover yarn from this vest. Here is the second one made with some thrifted very soft cotton. 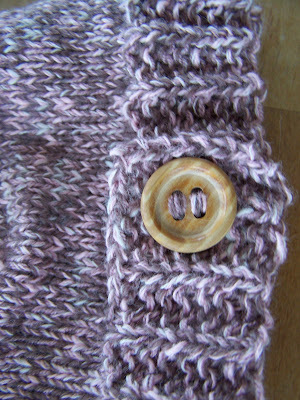 I chose some mother-of-pearl buttons for it. Since being home I made another one (with more of the leftover vest yarn) to give to the person who took care of our home while we were gone. Two of them might be gifts (I had that plan to get all my gifts made early) or one might just end up being for me. They're beautiful! The buttons add so much. Nothing like some quick knit hats to add a bit of cheer to the cold winter months. Wow, what's it like going from sun to snow so fast? Shelia, I always get more weirded out by going from snow to sun than sun to snow, I don't know why. We always try to do something very snowy (snowshoe, hike, sled) on the last day before we go and so we laugh on our first day there that 24 hours ago we were snowshoeing and now we are snorkeling. It really is strange.